California has a reputation for being a little different. Los Angeles has Hollywood. San Francisco has the the Haight and the Golden Gate. Then there’s Silicon Valley. Though computers and just about everything that works with them may have catapulted the high-tech home into fame and fortune, inspiration here doesn’t always revolve around business and battery life. A little more than a half hour south of San Francisco, and just five or 10 minutes from Stanford University, the scenery might surprise a first time visitor. There are the expected highways and buildings that scream tech and innovation, but this stretch of scenery also includes a fair share of green. Getting away from it all is easier when you have acres in which to do it, and that’s where Rosewood Sand Hill comes in. 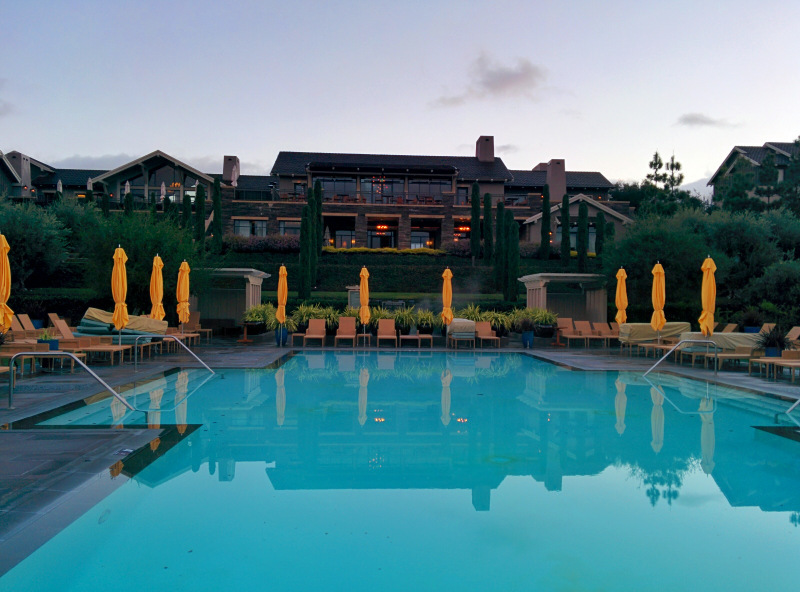 While working hard to deliver luxury service, Rosewood Sand Hill also works hard at not being like a hotel. At first that statement may seem strange, but after check-in, it starts to actually make sense. Instead of long hallways connecting rooms, guests walk through open green spaces and walkways. For rooms a bit farther from the lobby, golf carts are standing by to shuttle and show the way. I was visiting with a friend, a girlfriend getaway of sorts, and if you had seen her jump aboard, you would have thought she was taking off in a sports car. The first thing we noticed when we walked into our Premier Room was the size. Ranging from 527 to 553 square feet there was room to spare, a rare feeling in most hotel rooms. The walk-in closet is something you’ll wish you had at home, along with the marble bathtub and separate rain shower. The soap, embossed with a floral pattern, might even cause a double take; the suds have a way of making you feel spoiled. Along with two beds, there was a chair that helped create a cozy sitting area near the sliding glass door to the balcony, which is large enough so that you need to take a few steps to sit down at the table and two chairs. The artwork in the guest rooms (and throughout the hotel) are all the works of Northern California artists. 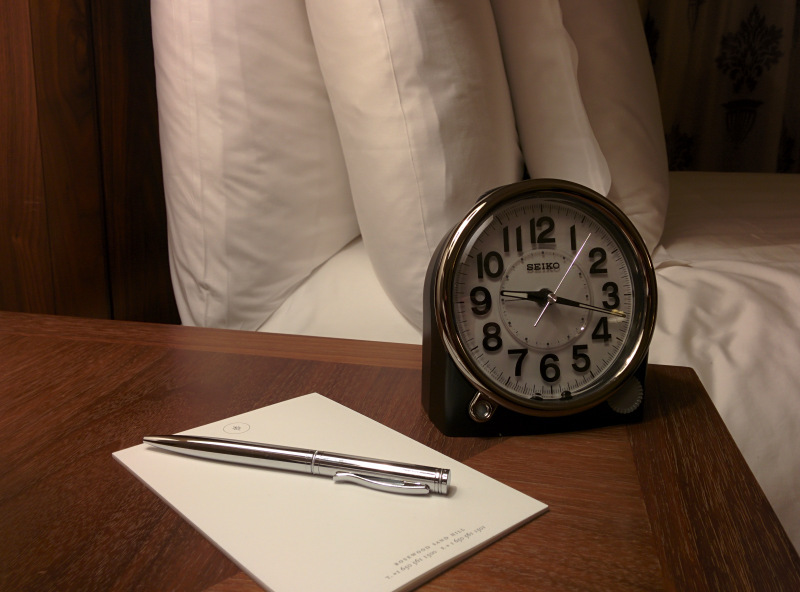 Other small details, like the plant in the bathroom and the real analog clock help give guestrooms an elegant, but comfortable this-is-more-like-home-than-a-hotel-room feel. 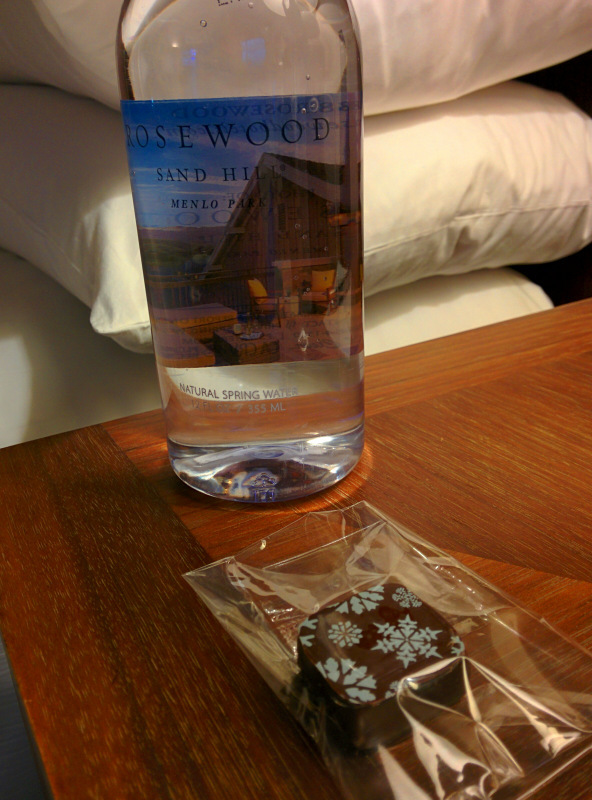 The question of who would get the single piece of artisan chocolate on the bedside table was quickly resolved when the doorbell rang. Our professional golf cart driver had reappeared with enough chocolate to keep us happy for days. Our late in the day arrival, combined with a much needed heavy rainstorm limited exploring the property, so dinner at on-site Michelin-starred Madera became the priority. Sophisticated but not snobby, the open kitchen gives you a front seat to watch all the action. The salad of young beets was tasty, but it was a seafood kind of night. 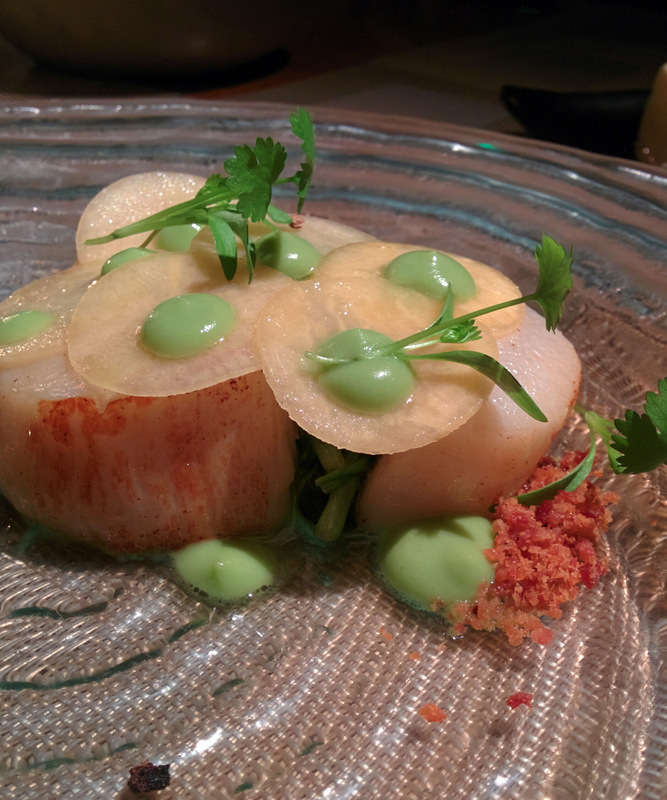 Poached Wild Mexican Prawns, Day Boat Scallops and Local Petrale Sole made for a perfect combination of dishes, while leaving room for dessert. With Coconut Rice Pudding, Angel Food Cake, Fruit Mousse and Rice Milk Sherbet, the ‘Exotic Blizzard’ lives up to its intriguing name. The wind was howling and the rain seemed to be falling sideways as we made a quick dash back to our room. Once inside though, you could barely hear a thing, which probably means you’ll rarely hear any of your neighbors. I was the first one up and since the sun was shining I decided to do some wandering. The outdoor space sports just about every shade of green. Along with beautifully manicured spots like the Courtyard Garden, long lines of trees shade walkways, and stretches of grass offer traveling families just the right setting for little ones to run off some steam. Be sure to pack a swimsuit, even in the middle of February; the heated outdoor pool and hot tub are a relaxing option day or night. If there had been more time, I would have gone running to see even more of the property, but with the clock ticking I decided to settle for a quick trip to the fitness center. Turns out you can see the world while covering miles on the TechnoGym treadmills. I got a kick out of my running video tour of San Francisco’s Fisherman’s Wharf area. The fitness center is well stocked with an assortment of cardiovascular and weight machines. There’s also a Movement Studio. Various classes are offered throughout the week. The fitness center is complimentary, but classes have an additional fee. 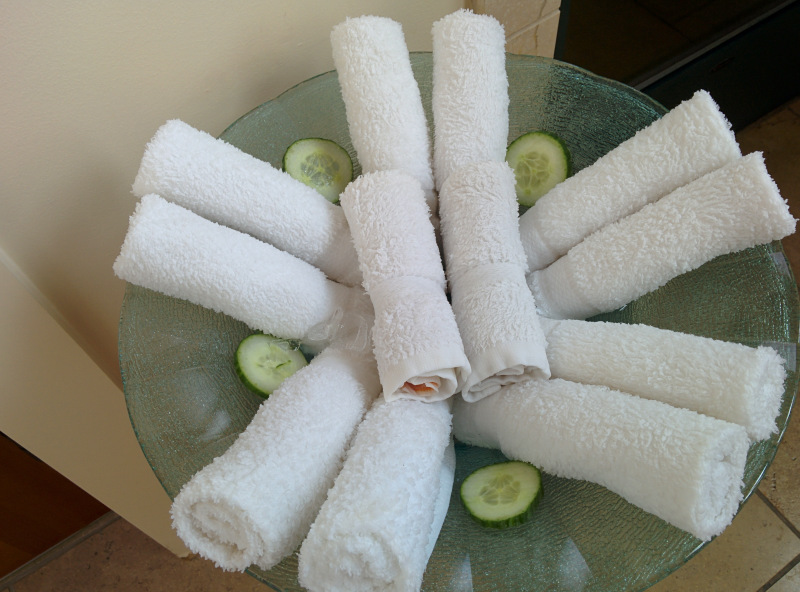 Sense® Spa is located next door to the fitness center, making a little pampering after a workout easy. With more than a dozen treatment rooms, there’s a number of indulgent options to choose from. My girlfriend went for the California Woods Signature Manicure, bragging to me on numerous occasions about how soft her hands felt afterwards. I was treated to the Gold Rush Renewal, one of the Spa’s most popular treatments; a gold-infused full body scrub is followed by an hour-long massage. It had been a busy couple of days. When we weren’t at the hotel, we were doing research in Santa Clara, roaming around Stanford University and exploring places like the Computer History Museum. As we headed to the lobby to check out, we still had a list of things to do before heading home. But my girlfriend, who just so happens to also be my 16-year-old daughter, said with a big smile on her face that she’d come back with me anytime. I can’t wait. 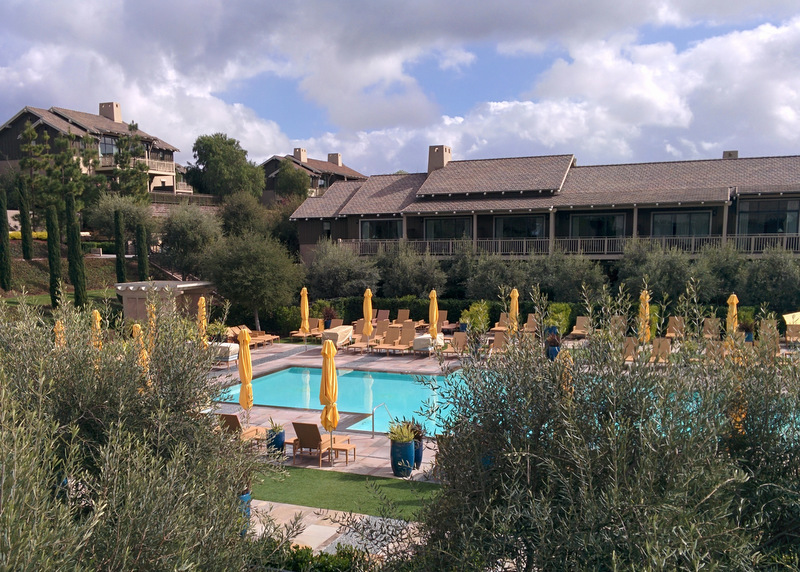 Dana was hosted by Rosewood Sand Hill, but as always her thoughts and opinions are her own.